No. 3 Flowery Branch scored a pair of important wins in Region 8-AAAAA, easily the state’s strongest region in terms of depth with five teams over 15 wins. The Lady Falcons got revenge against Gainesville, their only previous loss, beating them 45-42 on the road, dropping the Red Elephants from the top ten. Flowery Branch also picked up a win at Winder-Barrow, 56-41. Sequoyah falls from No. 2 to No. 7 following a surprise loss at Rome, 64-51. Region 7A first-place is up for grabs as the War Lodge will be packed for rival Creekview. Both teams are 19-4 and 10-1 in region play. The Lady Chiefs disposed of the Grizzlies 43-28 in their first meeting. No. 10 Mays claws its way back into the top ten after a long absence. The Lady Raiders have won six-straight and are starting to peak at the right time as they search for their second-straight trip to the state championship. Marist takes over No. 1 in AAAA after a 44-34 win at Redan that knocked the Raiders out of the poll and a Buford loss at the Wesleyan Showcase to 2A No. 1 Wesleyan, 58-39. With Redan’s departure, No. 10 Bainbridge debuts. They visit No. 2 Americus-Sumer on Friday for the most anticipated game of the night. Both teams are 13-0 in Region 1. No. 6 Carrollton slips two spots after losing to North Forsyth 54-47. Griffin (18-5) defeated No. 7 Mt. Zion-Jonesboro 65-48. 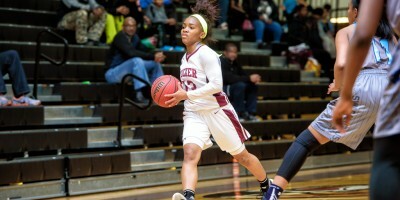 The Lady Bears have regained their early season form since dropping out of the rankings. AAA saw No. 5 Johnson-Savannah take care of No. 6 Beach 53-41. The Atomsmashers jumped three spots for their resume building win. No. 1 Wesleyan’s case for being not only the best team in AA but the best regardless of classification has gotten stronger. Routs of Buford and Lovett have the Lady Wolves looking better than ever. No. 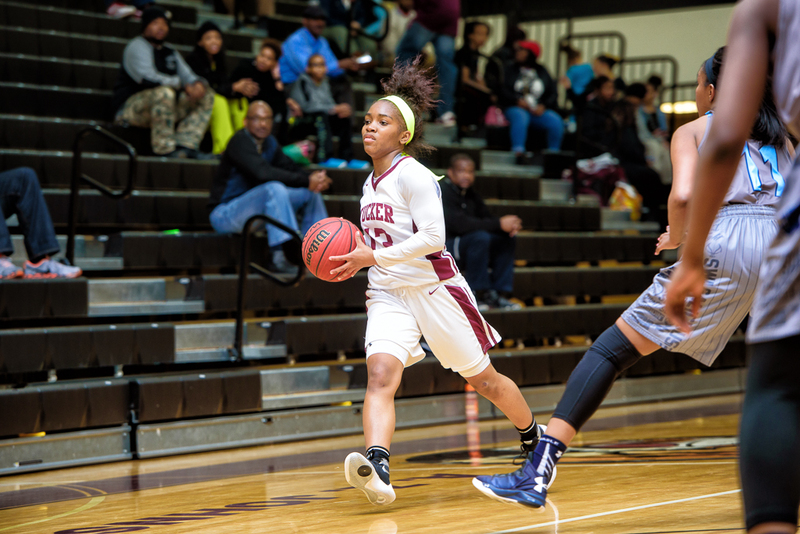 4 Holy Innocents’ falls one spot for its loss to Tucker. No. 5 Jeff Davis beat Vidalia 43-41 and dropped the annual power form the top ten. Vidalia, Bleckley County and Lovett all lose spots. Into the poll for the first time all year are No. 8 Fitzgerald, No. 9 Haralson County and No. 10 Swainsboro. Haralson County has won 22-straight following a 57-53 loss to open the season at Calhoun. Swainsboro is just 15-8, but boast wins over Vidalia and now Dublin coming on Saturday, 45-37. In Class A-Private, No. 4 Tattnall Square Academy beat No. 7 Stratford Academy 32-23, the only team to hand the Trojans a loss this season. No. 10 Paideia has lost three of its last four games, but they have come against the state’s best. The Pythons have lost to Stratford, No. 3 Greenforest and No. 6 Our Lady of Mercy over the rough patch. The Terrible T’s reign of terror over Class A-Public has rolled on, with Turner County, Taylor County and Terrell County going 1-2-3. The Greenwave of Terrell County beat No. 5 Calhoun County 47-39 last week. No. 9 Woodville-Tompkins dropped a heartbreaker to A-Private No. 9 Savannah Country Day, 51-49.